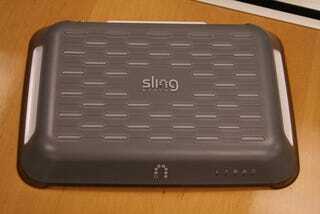 The Sling Modem cable modem + Slingbox device we saw back in January is finally launching. The first network to carry it is EchoStar, which has a really tight relationship with Sling seeing as it purchased them last fall. With this, you'll be able to use the same box for your cable internet to surf and stream video to your portable devices. We're always happy when we can make two gadgets into one.